Problem: It’s not cooling or freezing well. It could be: The condenser coils. Found behind the kick plate at the front or the back of the unit, they can easily become caked with dust. Verdict: Fix it yourself. Unplug the refrigerator, loosen dirt with a soft-bristle brush, then vacuum. Verdict: Fix it yourself. To install a gasket ($40 to $60; see Where to Find Parts and Service, at the end of this article), take out the old one and screw the new one in, making sure the door is properly aligned. It could be: Frost buildup in a self-defrosting freezer. A bad thermostat or compressor could be at fault. Either way, you’ll need to call a repairman. Problem: It’s making strange noises. It could be: Paper or some other debris caught in the condenser fan. Listen for a sound like a playing card rattling in the spokes of a wheel. Verdict: Fix it yourself. Unplug the unit, then unscrew the back panel to get to the fan, on the bottom right. Remove any foreign objects. It could be: The freezer fan motor, which squeals. Verdict: Have a pro fix it for $150 to $250. It could be: The compressor. When that part stops working, it makes a thumping sound. Problem: The ice maker has stopped working. It could be: The bale lever (which looks like a hanger). It may be flipped to the off position. Verdict: Fix it yourself. Just switch the lever on; it should be pointing down. It could be: A clog in the water valve. Here’s how to test it: Place a finger in the mold above the ice bucket. No cubes means there’s a potential clog. Verdict: Have a pro fix it for $185 to $275. Problem: The gas burners spark, but there’s no flame. It could be: Clogs in the holes of the gas burners. Verdict: Fix the problem yourself. Clean out the holes with a safety pin or a needle, says Kleinert, but don’t use a toothpick; the tip can break off and become a fire hazard. Also make sure that the burners aren’t blocking the openings where the gas comes out; this can happen if the grates get bumped accidentally. It could be: Food spills or oil coating the spark plugs (the small, rod-shaped igniters on each burner that create the spark to light the flame). Verdict: Fix it yourself. 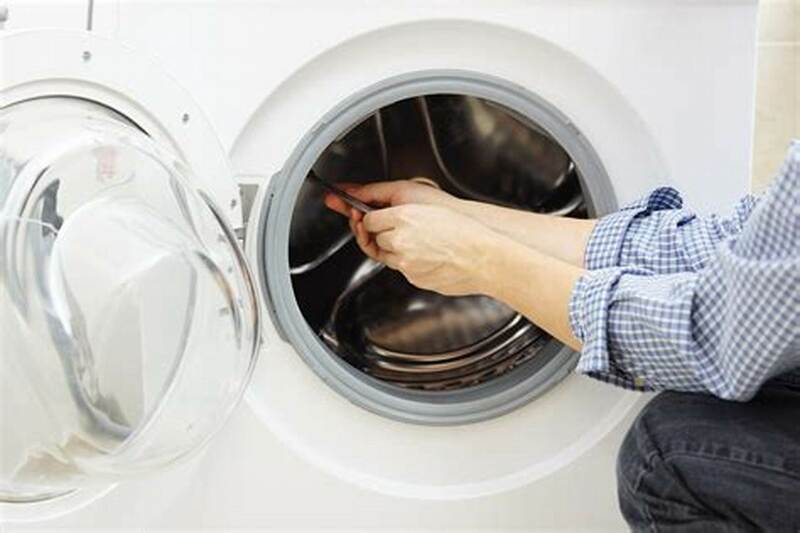 Scrub the plugs with a toothbrush and a mixture of soap and warm water, suggests Lance Kimball, owner of Appliance Repair Specialists, a service company in Tampa. Problem: The oven won’t heat properly. If you have a gas oven, it could be: The glow-bar igniter. In most cases, says Hall, you can see a red glow from the igniter (a harmonica-shaped piece, usually found beneath the floor of the oven) by peering through the vent holes in the bottom panel. “If it’s glowing for more than three minutes but your gas doesn’t turn on, you probably need a new igniter,” he says. Verdict: Have a pro fix it. “An experienced technician should replace an igniter, since you’re dealing with gas,” says Kleinert. “He or she will check the entire system to make sure there are no leaks.” Parts and labor run $150 to $300. If you have an electric oven, it could be: The bake element. A thick, heat-radiating wire on the oven floor, it should turn a deep red when the oven is on. “You’ll see a dark burn spot on the element if it’s no longer working properly,” says Roman Kagan, chief executive officer of AppliancePartsPros.com. Verdict: Fix it yourself. A bake element costs $20 to $40 and is easy to replace. Unplug the stove (or switch off the circuit breaker if you can’t reach the plug), unscrew the screws that hold the element in place, pull it out, and pop in the new one. It could be: A broken thermostat or selector switch. If the bake element works, those parts (both found in the control panel) are the likely culprits. Verdict: Have a pro fix it. Replacing a thermostat should cost $220 to $300; a selector switch will run $190 to $250. Problem: The glass cooktop is broken. It could be: A casualty of a cast-iron pan, a meat cleaver, or a heavy bottle of vinegar or oil. Problem: Your plates don’t get clean. It could be: Overloading―the most common cause of this problem, according to Doug Rogers, president of Mr. Appliance Corp., a national appliance-repair chain. Verdict: Run a load or two with only two-thirds of the dishes you normally stuff into the machine and see how it goes. It could be: An obstruction. Something may have lodged under the float (the disk in the dishwasher floor that controls the water level). Or food may be caught in the small holes of the spray arms. Verdict: Fix it yourself. Take out the racks and remove any debris caught under the float. Use a toothpick to clean holes in the spray arms that appear to be clogged, says Rogers. It could be: A cracked or broken spray arm. Verdict: Fix it yourself. If an arm is damaged, order a new one ($20 to $50) and install it. “Most arms are held in place with two screws,” says Kleinert. It could be: A slow water-fill problem. “Calcium or iron deposits in your water can clog the screen in the water-fill valve,” says Kleinert. Verdict: Have a pro fix it, since the valve usually needs to be replaced (cost: generally less than $200). The machine will need to be disassembled. Problem: There’s a puddle of water on the floor. Verdict: Fix it yourself. “Pour half a cup of white vinegar into the bottom of the dishwasher to eliminate any remaining suds,” says Rogers. “Then run the dishwasher empty and it shouldn’t leak.” Going forward, use less detergent. It could be: A broken door latch or (less commonly) a worn gasket. And possibly this worst-case scenario: a seal leak in the motor-pump assembly, the heart of the machine. Ultimately you’ll need a technician to make the call. Problem: The water won’t drain. It could be: The garbage disposal, surprisingly enough. A plug may not have been removed before the disposal was attached to the drain hose. Verdict: Fix it yourself. Look under the sink for a small hose coming out of the dishwasher that’s attached to a nozzle of the disposal, says Kagan: “Remove the hose, then insert a screwdriver into the nozzle to pop out the plug.” Reattach the hose. It could be: Food or bits of labels from jars clogging the drain-pump motor, says Kimball. Verdict: Have a pro fix it. Since the motor is under the unit, a repairman will have to unclog it. However, if the motor needs to be replaced, the machine may have to be retired. Verdict: Have a pro fix it ($160 to $200). It could be: A belt drive or a motor coupler, depending on your machine. Or a broken transmission or drive motor. Don’t bother to look up these terms; you’ll need a technician to figure out this one. Verdict: Have a pro fix it, if the problem is a broken belt or direct drive ($160 to $200). But if it’s the transmission (up to $500) or the drive motor (up to $400), Kleinert suggests scrapping the machine and opting for a new model. Problem: It vibrates during the spin cycle. Verdict: Fix it yourself if you’re handy. “Place a 3⁄4-inch-thick piece of plywood under both the washer and the dryer and screw it down, not to the floor but to the joists,” says Hall. (A four-by-eight-foot piece of plywood costs $16 to $18 at Home Depot.) Use shims if necessary to create a level base. If you’re not handy, a pro can fix it for about $50. Problem: Clothes take too long to dry. Verdict: Fix it yourself. Check the lint screen, the screen slot, and the vent hose at the back for blockages. Pop the hose out and vacuum it thoroughly. It could be: The dryer vent on the outside of the house could be blocked. Verdict: Clear out any leaves, birds’ nests, and other debris. Then check every month or so to ensure that other detritus hasn’t taken its place. Problem: The dryer makes a funny noise. It could be: The drum rollers. 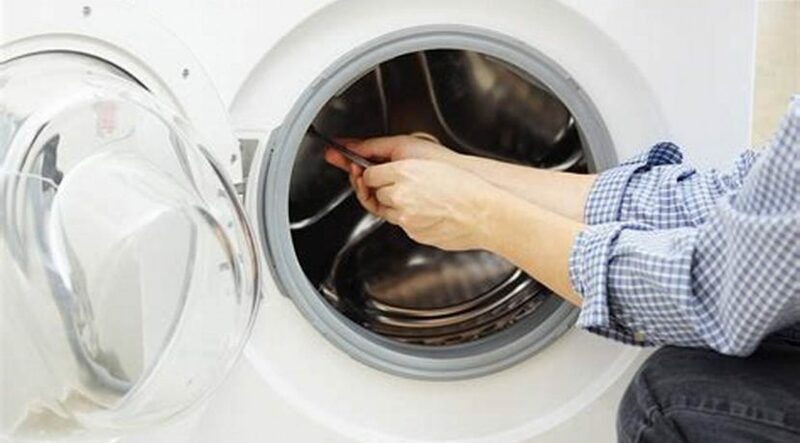 When these parts, which make the dryer tumble, wear out, they emit a low-pitched rumble. If the noise sounds like a high-pitched squeak, the problem could be the idler pulley, which keeps tension on the belt that turns the drum. Verdict: Have a pro do the repair. Either fix should cost $125 to $175. It could be: A coin or a toy lodged in the motor. Listen for a buzz when you push the start button, then “reach into the drum,” says Kimball. If you can’t manually turn the drum, something has jammed it. If the drum can turn, there are bigger problems. Check the warranty before attempting any repairs. If it’s still in force, you could void it by doing certain repairs yourself. Keep in mind that the latest appliances are more energy-efficient. By buying a new model, you may reduce your energy consumption. For replacement parts, call the appliance manufacturer; part numbers should be in the owner’s manual. You can also try repairclinic.com, abt.com, and appliancepartspros.com. For servicing, contact the manufacturer for a referral to an authorized technician in your area. Or try Mr. Appliance Corp. (mrappliance.com), an appliance-repair company with more than 150 franchises across the United States and Canada. If you’re buying a new one, sellers will often haul out the old one as part of the deal. Many towns pick up bulky items, such as washers, on designated days. Call your city hall to see if your community does. Ask if your local utility has a rebate program that accepts energy-guzzling appliances and gives you cash or credit toward Energy Star replacements. 1800gotjunk.com will remove any appliance for a fee (prices vary depending on location and item), and it recycles up to 60 percent of what it picks up.